"It is a matter of fact that the mouse population at Westminster is spiraling out of control. Will the Right Honorable Gentleman review his decision and, using the same model adopted by ten and eleven Downing Street, consider having a rescue cat that can be released in the evening to keep the mouse population under control?" 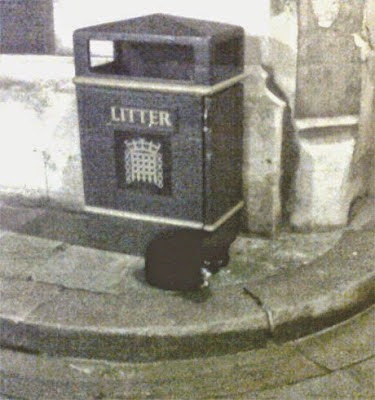 Although the world famous resident felines of Downing Street, both past and present, receive a lion's share of Fleet Street's attention, cats also are a hotly debated topic down the street at the Palace of Westminster where their invaluable service as mousers is dearly coveted by some members of Parliament (MPs). That is especially the case in that it is claimed that the joint is overrun with mice who deposit their excrement all over the place and even gnaw into official documents. Whereas a considerable amount of palaver is devoted to the use of the Downing Street cats as mousers that is clearly a well-orchestrated public relations charade. That is not to say that the official residences of the prime minister and the chancellor the Exchequer do not have mice but that problem is handled by professional exterminators. The cats, on the other hand, are kept in order to not only put kinder, gentler, and more civilized public faces on some pretty unsavory characters but also to temporarily take citizens' minds off of some of the more disquieting political and economic realities of the day. By contrast, the ongoing debate in Parliament appears, at least from afar to be much more genuine and practical in that any cats employed there as mousers would belong to that body as a whole instead of to individual politicians and that in turn would make it far more difficult, but by no means totally impossible, for any member to exploit their presence for personal political gain. That analysis of the situation is buttressed by the fact that in comparison to the executives on Downing Street individual MPs receive comparatively little media exposure. In the past the palace has employed cats as mousers including an unidentified feline who was so proficient that it reportedly caught up to an astounding sixty mice per night. Due to ailurophobia and some MPs being allergic to them, the facility currently relies exclusively upon professional exterminators, either for better or for worse, in order to control the rodent population. Consequently, the only known current resident feline is a gray cat named Order who is owned by the speaker of the House of Commons, John Bercow. While it is not known if Order is used on rodent patrol, it is doubtful that a single feline would be capable of policing the sprawling estate. Predictably, the issue has divided parliamentarians along party lines with the Conservatives being largely in favor of bringing back the cats while both Laborites and the Liberal Democrats are adamantly opposed to their return. Also, Battersea Dogs and Cats Home in south London, which supplied Prime Minister David Cameron with his current resident feline, Larry, back in 2011, has become unwittingly embroiled up to its eyeballs not only in the tug-of-war itself but the internecine nature of English politics as well. "I am thrilled and delighted to work with Battersea Dogs and Cats Home," Anne McIntosh, a Conservative MP from Thirsk and Malton in North Yorkshire, declared to The Independent on January 28th. (See "Cats Poised to Descend on Parliament to Help Rid Westminster of Vermin.") "In my view, provided the situation was controlled with care, particularly considering the welfare of those allergic to cats, the best way to control and eliminate the mouse problem in Parliament would be a rescue cat." 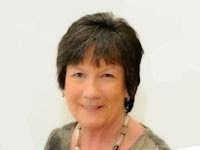 Her proposal quickly was seconded by her colleague in the House of Commons, Pauline Latham, a Conservative from Derbyshire. "Battersea Dogs and Cats Home do a fantastic job, and I would certainly love to have one of their rescue cats come and take care of the mouse problem in my office," she added to The Independent. 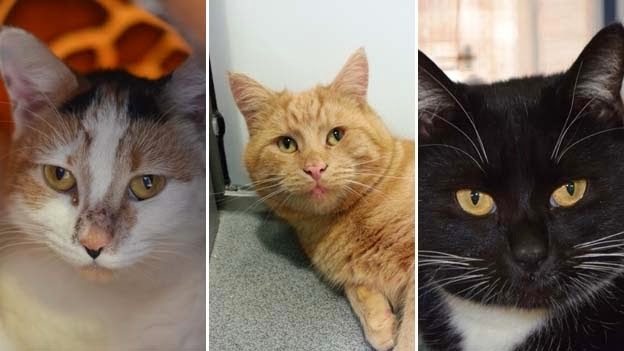 In response to the politicians' plea for assistance, Battersea initially offered to dispatch a three-year-old tuxedo named Jill, an orange four-year-old male named Finn, and a one-year-old tortoiseshell named Bloom to work as palace mousers. 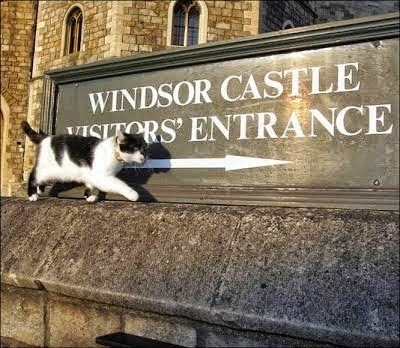 Unfortunately for the cats, the Commission which runs the Palace vetoed that idea and it is not known what ever became of either them or their hopes for new leases on life. Undeterred, McIntosh has continued to press her case. 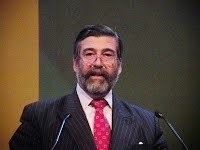 "It is a matter of fact that the mouse population at Westminster is spiraling out of control," she told Viscount Thurso (né John Archibald Sinclair), a Liberal Democrat who represents Caithness, Sutherland, and Easter Ross in the Scottish Highlands, during debate on October 22nd according to the Daily Mail's October 23rd account of the proceedings. (See "Vermin in the Commons...Call the Squeaker!") "Will the Right Honorable Gentleman review his decision and, using the same model adopted by ten and eleven Downing Street, consider having a rescue cat that can be released in the evening to keep the mouse population under control?" Thurso, however, was not about to be swayed. "Measures are being taken to combat that through pest control," he retorted. "Given the scale and size of the estate, it would be necessary to have a great number of cats to make any impact." There are several problems with Thurso's bluster. First of all, the professional exterminators obviously are not any more up to the job than Vincent Price and his colleagues were when they battled an invasion of ship rats in a terrifying episode of Suspense from the 1950's entitled "Three Skeleton Key." Secondly, he is guilty of deliberately distorting the number of cats that would be required in order to get the rodent infestation under control. Bloom, Finn, and Jill: Where Are They Now? All of that would have been bad enough if he had had the bon sens to have stopped there but he could not resist to temptation to make jest of McIntosh's proposal. "Having a herd of cats on the parliamentary estate would present a number of difficulties," he continued. "I am also advised by my own chief whip that herding cats is quite difficult." Thurso obviously considers himself to be a part-time comedian and a full-time cutie-pie. His words and actions, however, expose him to be little more than a dishonest smart aleck. That is because if Latham's plan were implemented, the care and supervision of the cats would be the personal responsibility of individual legislators and neither any herds nor herding would be necessary. Plus, their presence would be required only in specific offices and establishments, such as restaurants and bars, with significant rodent problems. Of course, it is conceivable that it is precisely that aspect of Latham's proposal that Thurso fears the most. While it is not known if a per se cat vote does in fact exist, the political hacks on Downing Street clearly have demonstrated the numerous benefits of owning one. "If mice can be close to the source of food and pose a health hazard, one would think it would be perfectly sensible to introduce a cat to keep the mouse population down." McIntosh, apparently familiar with the old Norwegian Sprichwort which counsels that "it is better to feed one cat than many mice," added in vain. In spite of the soundness of her reasoning on that point, McIntosh is terribly wrong in striving to emulate the simply abhorrent example set by the politicians on Downing Street. As intelligent and sentient beings, cats are entitled to not only exemplary treatment but their care and well-being requires a lifetime commitment. The Commission's ruling left many cat-lovers disappointed but no one perhaps more so than the Daily Mail's Quentin Letts. "What fun it would have been to see the occasional pussycat strolling the corridors and playing cradle with the clerks' wigs. They could take post-prandial snoozes in the lap of the Father of the House, Sir Peter Tapsell. They could play games with the Westminster Police's anti-bomb sniffer dogs. They could compare claw varnish with the likes of Labor's Luciana Berger (of Liverpool Wavertree)," he fantasized in the October 23rd article cited supra. "But those ninnies in the Commission insist instead on using poisons and traps." Given that the lawmakers are so passionate about cats that do not even belong to them, it should not come as any surprise that they feel even stronger about their own beloved companions. With that being the case, at least one and possibly more MPs apparently do not have any scruples about engaging in a little old-fashioned cheating so long as doing so advances the cause of their cats. That transpired in early February when Battersea, attempting to raise public awareness of the plight of homeless cats, sponsored an online contest in order to select the cat of the year. In addition to all the notoriety that was expected to go to the winner of the popularity contest, the lucky cat was to be dubbed "Purr Minister." Although anyone with access to a computer was eligible to vote, only those cats belonging to MPs and peers were allowed to enter. As things turned out, four Tory MPs and a trio of their Labor counterparts submitted entries. 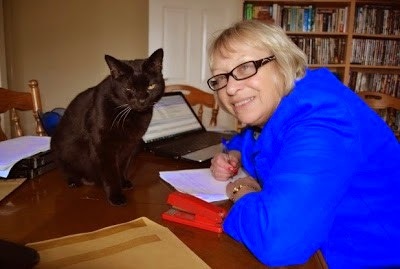 From the House of Lords Laborite Baroness Joyce Gwendolen Quin entered her cat Paul while Lord Tom McNally put forward his cat, Monty. As it just so happened, Bosun is owned by Tory MP Sheryll Murray from the village of Millbrook in Cornwall and once her competitor, Labor MP Andrew Gwynne of Greater Manchester, got wind of what was afoot he cried bloody murder from every rooftop in London. "I think there's been vote-rigging," he declared to The Mirror on February 11th. (See "MP Sheryll Murray Withdraws Cat Bosun from Westminster Beauty Contest Amid Allegations of Vote-Rigging.") "It is not fair; it is against the spirit of it." In her defense, Murray denied taking part in any chicanery. "It is very upsetting for me," she told The Mirror. "It is very upsetting for my children, because we have done nothing wrong." A statement later released by Bosun's campaign raised the possibility that both he and Murray may have been victimized by a put-up job. "Battersea Dogs and Cats Home have already said that there have been a lot of voting irregularities with many candidates and we do not know if this instance was by a well-meaning supporter of Bosun or someone who was trying to frame him," the BBC reported on February 11th. (See "Westminster Cat of the Year Contest 'Hit by Vote-Rigging'.") "It does seem to have been a bit obvious." Regardless of who was behind the sudden surge in voter support for Bosun, the damage already had been done to his candidacy and Murray reluctantly was forced to withdraw him from the contest. That decision provided Gwynne, who already had withdrawn his cat, Jude, in protest, with a golden opportunity in order to do some gloating. "It is such a shame that some people choose to take advantage of the incredible work that Battersea does finding homes for dogs and cats," he pontificated to The Mirror. "Justice has been done. This isn't Soviet Russia. Here in Britain, our cats play by the rules and those that don't will be found out!" Although the dispute between Murray and Gwynne sans doute tarnished the integrity of the contest, it had even more disastrous results for both of their cats. Bosun, who was named in honor of Murray's late fisherman husband, would have made a splendid Purr Minister as would have Jude who was fished out of a canal in Manchester. "In good faith, Battersea placed no onerous restrictions on voting. 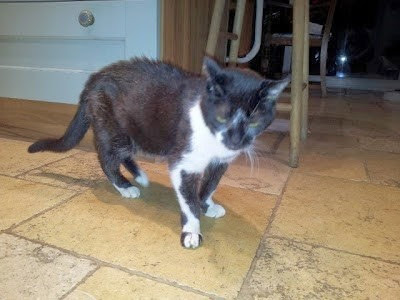 After all, the voting is simply to name a cat," a spokesperson for the charity told the London Metro on February 10th. (See "Ministerial Cat Elections for MPs' Pets Rocked by Cheating Scam.") "So we have been surprised by the voting patterns and will look carefully at how people can vote in next year's competition." He also is a cat blessed with quite a sense of humor. "Bringing a weight of experience to the job, Kevin will happily represent fat cats everywhere," is how Esterson described his cat in an undated pre-election address posted originally on Battersea's web site and later on his own web page. (See "Sefton Central Labor MP Bill Esterson's Cat Kevin Named Purr Minister" at billesterson.org. uk.) "He takes a laissez fur approach to life in general but fights hard to be top cat in our household against recent feline arrivals. He has sixteen years of eating and (mostly) sleeping to call on as valuable experience." Kevin's ascendancy also allowed Lindsey Quinlan of Battersea to expeditiously dispose of all the difficulties that had plagued the contest from the start by uttering what has to be the understatement of the year. "Here at Battersea we know the British public love their cats and we're so pleased to see that our politicians do too," she declared unabashedly in the press release cited supra. "The inaugural competition was certainly memorable and we hope Kevin enjoys his exciting year as our first Purr Minister and we wish him well!" The other competitors in the contest were a cat named Tommy who is owned by Tory MP Greg Knight of East Yorkshire, Scaredy-Cat owned by Labor MP Sarah Champion of Rotherham in South Yorkshire, Parsnip owned by Tory MP Mark Spencer of Sherwood in Nottinghamshire, and Montague owned by Tory MP Justin Tomlinson of Swindon in Wiltshire. In marked contrast to all the media attention ladled on both the parliamentarians and the big shots on Downing Street, the royal family's treatment of cats receives almost no public exposure. The one notable exception occurred in 2007 when it was disclosed that an intrepid black and white female named Mime was permitted to dine with the queen's corgis at Windsor Castle in Berkshire. "Mime is part of the furniture," a castle spokesperson said at that time. "Everyone looks forward to her visits." Owned by then sixty-nine-year-old Kevin Lam, she lives at the Chinese restaurant that he operates a scant fifty yards across the street from the castle. For reasons that are known only to her, she does not care for his cooking. "She won't eat any of our leftovers," Lam confessed. "She's been going there for about four years." Regardless of the hospitality afforded Mime, it is suspected that the royal family is anything but a fan of the species. In particular, the queen is known to be a dog and horse enthusiast. Even though the five sprawling royal estates that are scattered throughout England and Scotland make inviting refuges for cats than are on the road, it is extremely doubtful that their presence is either welcomed or tolerated. Moreover, none of the royals have been known to either give sanctuary to any homeless cats or to practice TNR. With that being the case, it is likely that any cats that wander onto the royal palaces are liquidated on the spot by the queen's henchmen. If not by them, then either private exterminators or obliging humane groups are inveigled to do the royals' dirty work for them. In summation, cats and politicians are not, generally speaking, a good mix. First of all, the vast majority of those individuals involved in politics are unwilling to devote the extraordinary amount of time and energy that are required in order to properly care for a cat. On a more fundamental level, very few of them genuinely love and respect cats. Rather, they only use and exploit them for their own personal and political ends. Perhaps most damning of all, no politician of note ever has been known to champion the cause of cats; au contraire, they are far better known for defaming and exterminating them en masse. With that being the case, they should not be permitted to get away with exploiting and abusing them as political props. Rescue groups, such as Battersea, who not only bow and scrape at the feet of the political elites but also actively participate in their hideous crimes against the species are a disgrace to their profession. The first imperative for any halfway legitimate humane group should be to adopt and religiously implement an uncompromising attitude in respect to the inalienable right of all cats to live and implicit in that is a strict ban on all forms of killing including the misnomered practice of euthanasia. The second imperative should be to provide free, competent veterinary care to any cat that needs it. Their third mandate should be to place all homeless cats in either good homes, sanctuaries, or managed TNR colonies. Lastly, it is imperative that they take a no-nonsense attitude toward all forms of abuse and neglect and that includes, above all, going after the high and mighty, vivisectors, professors, the military, ornithologists, wildlife biologists, and all others who talk and behave as if they are endowed with a divine right to do with cats as they see fit. To put the matter succinctly, they must put the rights and needs of cats first; the dictates of their wallets and the gruntings of the elites are to be ignored. Photos: annemcintosh.org.uk (McIntosh), paulinelatham.co.uk (Latham), BBC (Bloom, Finn, and Jill), Keith Edkins of Wikipedia (Thurso), The Telegraph (cat at the House of Lords), the Western Morning News of Plymouth (Bosun and Murray), Bill Esterson (Kevin), and The Sun (Mime).